His Excellency Marcelin Cishambo, former governor of South Kivu Province visited IITA-Kinshasa station. Cishambo has been an IITA partner for many years and facilitated the participation of DRC in the Consortium for Improving Agricultural-Based Livelihood in Central Africa project (CIALCA project) from 2004 to 2014. HE Marcelin Chisambo (in the middle) and IITA-Kinshasa staff and agripreneurs. HE is currently working closely with Parliament for the adoption of “Projet Intégré de Croissance Agricole dans la Région des Grands-Lacs” known as the PICAGL project that will be funded by the World Bank. The objective of PICAGL is to increase productivity and volume of crops commercialized in the Bukavu‒Uvira‒Kalemie corridor in both South Kivu and Tanganyika provinces. This project will contribute to the improvement of regional integration of agriculture sector and also be an efficient response in case of crisis or emergency in the region. HE Cishambo thanked IITA for its various initiatives in DRC, particularly that of the youth agripreneurs, which is stimulating the creation of new enterprises in crop value chains by youth. He believes the IITA youth Agripreneurs should be the nucleus for a change in mentality and the promotion of agribusiness for poverty reduction. Before leaving the station, HE had a brief exchange with the youth and promised to pay another visit soon to see their various activities. This visit coincided with the recent adoption by the DRC Parliament and Senate of the DRC ENABLE project (PEJAB) funded by the African Development Bank. This project will facilitate youth to create 2,000 new enterprises that will generate 10,000 new decent jobs. 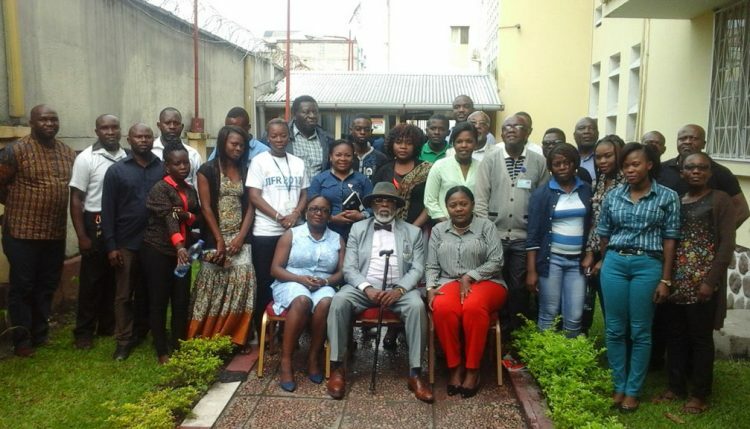 The IITA/DRC youth agripreneurs will be among the first to benefit from the ENABLE/DRC project.